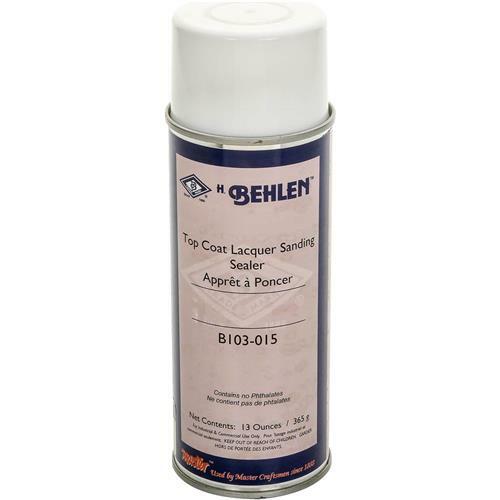 Due to DOT shipping restrictions this item cannot ship via air services, or to addresses outside the Continental United States.Behlen Master Top Coat Lacquer - Sealer is an alcohol and water resistant, high solid nitrocellulose lacquer sealer. Use to seal and protect Behlen solvent based stains and other Master Aerosols. Master Topcoat Lacquer- Sealer performs like a spray gun applied finish. 13 fl. oz. 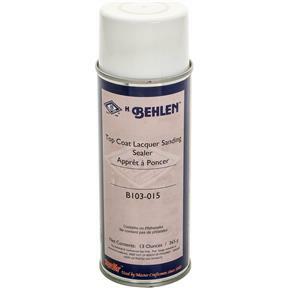 Behlen Master Top Coat Lacquer - Sealer is an alcohol and water resistant, high solid nitrocellulose lacquer sealer. Use to seal and protect Behlen solvent based stains and other Master Aerosols. Master Topcoat Lacquer- Sealer performs like a spray gun applied finish. 13 fl. oz.